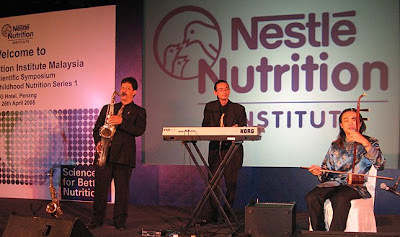 Live Jazz Trio performing at Penang's G-Hotel, Malaysia on the 26th of April 2008 as dinner entertainment for this event. 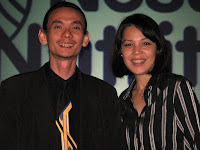 This unique live jazz trio combined traditional and modern solo instruments accompanied by a keyboard player. 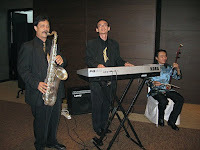 Below left:- Jason's trio performing at the foyer. 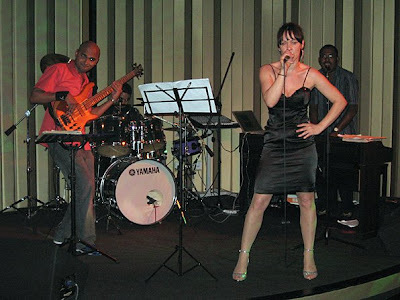 Eveline Schauer and her band live at G Spot, G Hotel.